Isaiah 9:2 The people who walked in darkness have seen a great light; those who dwelt in the land of the shadow of death upon them a light has shined! Matthew 4:16 The people who sit in darkness have seen a great light, and upon those who sat in the region and shadow of death light has dawned. Prophecy received 9/1/2018 @ 6:52 a.m. Carefully listen this day and ye shall not be led astray. For many are called but few are chosen. There is a great rebellion on the horizon My child. It is a great darkness that shall have great influence over those who call not out to My name. They shall be used to bring great persecution to those who have sought the Lord with all their hearts. A great falling away shall also occur at this time. Those who have said with empty words they are Mine but by their actions have shown this not to be truth. A confidence in My power and strength shall be needful during this powerfully convincing drawing of the wicked, and it shall be given. Mental persuasion shall be very convincing to those not trained in My righteousness. Lo child, I call all that love your God, I say prepare thy heart with full confidence in your Lord. Build yourselves up in your most Holy faith by praying with the language given to you by My Spirit. Speak love songs to one another no matter the condition. Using your words to bring unity and harmony instead of using your words to bring division and disharmony. Time is so short for your lives as you currently know them. The suddenly shall soon be. 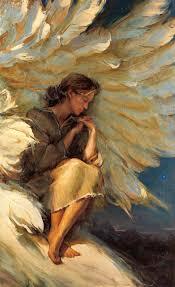 Great protection for those hidden shall confound those not in My covering wings. Seeing those things shall help draw even the hardest of hearts to Me. Jehovah has spoken. Praise your Lord.